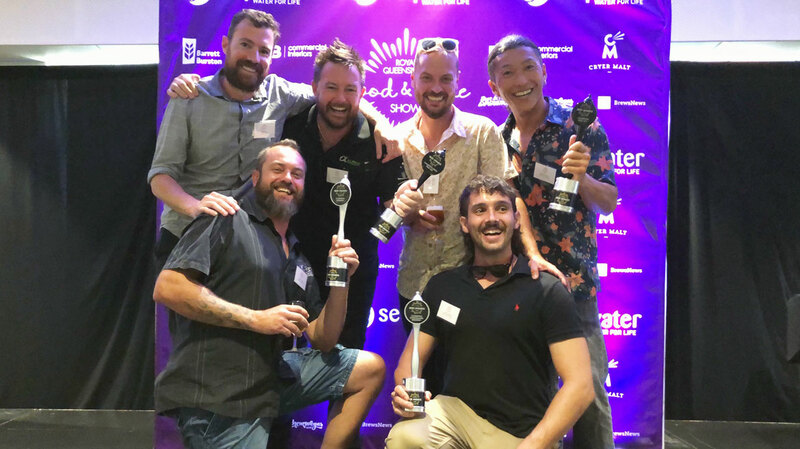 It was another day of triumph for the Gold Coast's brewers as Burleigh Brewing, Black Hops and Balter all picked up trophies at the Royal Queensland Food and Wine Show Beer Awards. Burleigh's new limited release Bock took out Champion Beer at the awards at Brisbane Showground today (March 13), which also saw the brewery win a $5,000 education bursary. Co-owner Peta Fielding said the limited release beer may now get another run, adding: "I am so proud of our team. Their collective commitment to excellence and quality is outstanding. "As anyone who has been involved in beer judging will know, it can be very tough to get an awesome beer recognised among a very crowded group. It's not guaranteed every time, that's for sure. But, over many years, to be one that continues to find a spot at the top is true testament to everything our Burleigh Brewing team does – and, if I can say so, Brennan’s absolute passion for ongoing learning and teaching." RQFWS Beer Advisory Group member and judge Steve "Hendo" Henderson said the beer fit the style description perfectly. 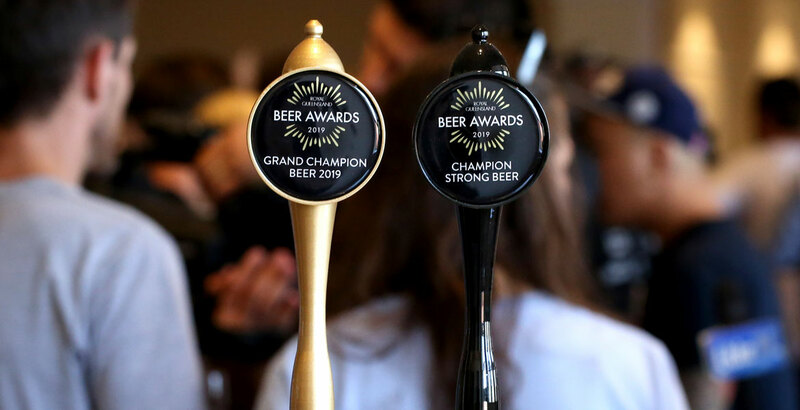 Champion Brewery, Champion Queensland Brewery, Champion Pale Ale and Champion IPA are all on their way to Black Hops, who only this month celebrated the opening of their second brewery. Brewery co-founder Dan Norris told The Crafty Pint: "It was a great afternoon. Queensland breweries have been making a big splash on the national scene, so it’s great to have our own award process with the RQFWS awards. "Leading into the AIBAs in May, it’s super helpful for everyone to get their results and feedback and hopefully Queensland can have a good showing again there." Dan Norris (back left) with the Black Hops brew crew and their trophy haul. Other trophies went to Bacchus, White Lies (with two), Balter and Ballistic with the sole non-Queensland trophy winner the Sydney Brewery for its serial champ Lovedale Lager. White Lies' two wins came in the European Style Ale and Mixed Culture categories, with founder Lee McAlister-Smiley saying: "We were stoked to receive the recognition that we did and they make a huge difference to small breweries like ours. "It’s always a hard slog to achieve success in awards, let alone two trophies. It ended up being a great haul with two gold, two silver and a bronze. It was really rewarding to see our Raspberry Sour that won the bronze medal at the International Beer Awards in Japan last year back it up with a gold medal here. Both beers that we won categories with were made with desalinated water, so hopefully this helps remove some of the stigma around desalinated water. "The most pleasing thing was the continued growth and quality of the local beer scene in Queensland and also the attraction to the awards from the interstate breweries. We hope that awards continue to gain momentum in years to come." 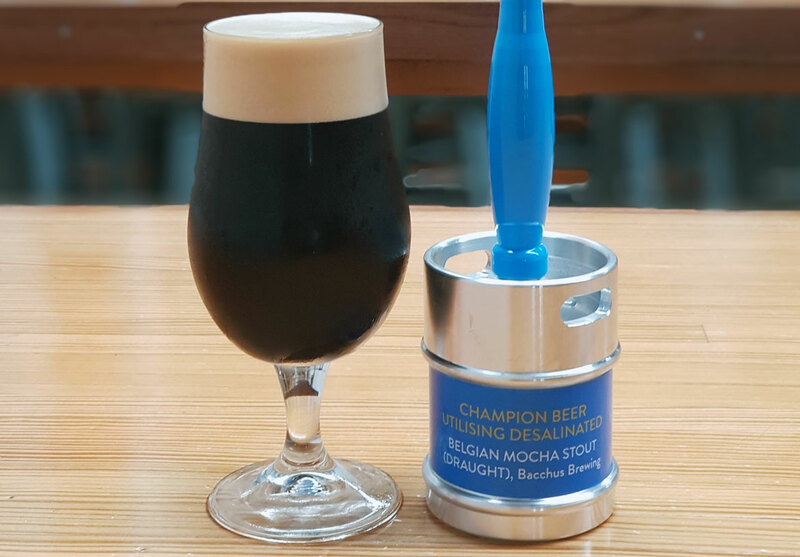 For Bacchus, their win in the Champion Beer Utilising Desalinated Water category (pictured above) came with a $10,000 education bursary from sponsors SEQWater. Owner Ross Kenrick told The Crafty Pint: "For a small company like ours, the $10,000 bursary is truly welcomed. Every cent we make is invested back into the brewery, so to get a prize that is to be spent on travelling and furthering our beer education is a luxury we’ve not been able to afford until now." A total of 344 beers from 48 breweries were entered in the competition, with the judges impressed by the quality. The full results catalogue is available here. 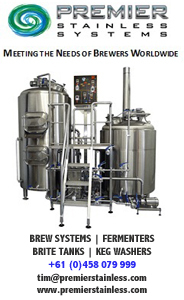 Read our feature on Gold Coast brewing pioneers Brennan and Peta Fielding here.